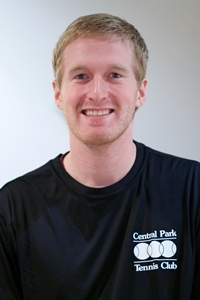 Central Park Tennis Club is fortunate to have assembled a staff of exceptional individuals, each professionally certified in their specialty and each dedicated to meeting our members' needs. Phil brings international experience to Central Park, having been born in England and having spent his formative tennis years in New Zealand. In 1988 he was an All-American at Whitman College, and was nationally ranked in both singles (#6) and doubles. 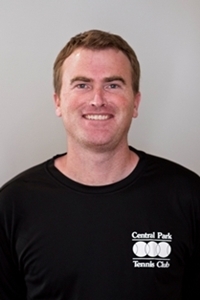 A member of USTA and USPTA, Phil has been especially active in the Central Park junior tennis programs since joining the staff full-time in 1988. Kathryn grew up playing tennis in East Lancing, Michigan. She began her tennis career at Lewis and Clark College. After transfering back to her home town her junior year she played for Michigan State Univiersity, both singles and doubles. Kathryn has coached in Michigan, California and Washington. She has been at Central Park Tennis Club since 2006, where she has specialized in individual, group and junior team lessons. 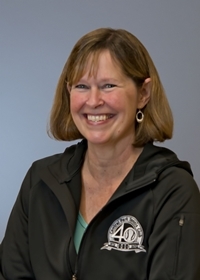 She has been coaching tennis since 1991, she is active in USTA and has been a certified USPTA Professional since 2001. Chad grew up locally on Bainbridge Island and was a junior tennis standout at Bainbridge High School and in the Pacific Northwest USTA Junior Circuit. Prior to joining Central Park Tennis Club, Chad spent 12 years teaching and coaching at Gold Creek Tennis & Sports in Woodinville, Wa. He has been certified by the United States Professional Tennis Association for eleven years and serves as the Northwest Washington Representative for the USPTA PNW Board of Directors. Lisa Moldrem, 14 years as head coach of the University of Washington women's tennis team, brings a local knowledge to Central Park along with her formidable playing and coaching talents. She coached the Husky women to nine Pac-10 Northern Division titles and was herself ranked #1 nationally USPTA Women's Mixed and Open Doubles. Lisa has been coaching at Central Park since 1997 where she has lead numerous teams to sectionals, playoffs and nationals. Dea is a native of Indonesia and grew up playing as a representative of her country at the age of 12. She competed in international tournaments and team platforms including the World Junior Team Tennis and Fed Cup. She reached the top 50 singles and top 20 doubles in the ITF World Junior Rankings. She also played in the Junior Australian Open where she reached the quarterfinals in doubles. Dea played in the WTA tour for a year, reaching #557 before she decided to accept a college scholarship to play for the University of Washington. Two-timed All American Division 1 NCAA. Top 5 in singles and doubles in the country. Dea’s coaching certifications includes: Certified as a Professional Tennis Registry (PTR) with the highest rating of Professional level in Adult Development, Junior 10 & under and 11 to 17. Dea has been a member of PTR for 11 years and very involved in the organization. She was voted as PTR 2014 Member of the Year from the state of Washington. Certified in The Bailey Method – 18 footwork patterns. Certified Mental Toughness Specialist by the Human Performance Institute. Dea coaches all ages and levels from beginners to performance players. 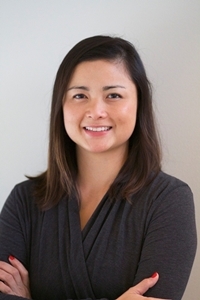 Her attention to details in techniques/forms, strategies and mental toughness combined with her positive teaching style have made her one of the most popular tennis coaches in Seattle. Jeff comes with an extensive tennis background where he was a nationally ranked junior player as well as a four time state singles champion. He continued his education at University of Washington and was a member of the division 1 Men’s tennis team. 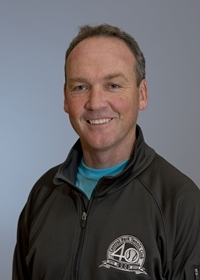 For the last 10 years he has been a part of various tennis programs teaching all ages and levels of players along the West Coast, including Central Park Tennis Club, La Jolla Beach and Tennis Club and most recently The Seattle Tennis Club. Ethan grew up playing soccer and baseball in Spokane, WA. He picked up tennis as an 11 year old and hasn’t looked back since. Ethan played Division 1 tennis at the University of Montana, graduating in 2014. He helped lead the Griz to their first ever conference championship and NCAA Tournament appearance. In 2013, he became an Assistant Tennis Professional at Teton Pines Country Club in Jackson Hole, WY and taught there for a summer and a year. 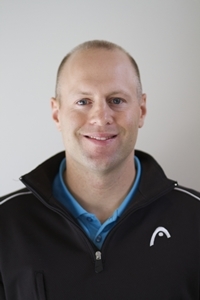 He began teaching at CPTC and also received his USPTA certification in 2015. Ethan completed his USPTA Elite Certification in 2019. Ethan’s athletic achievements include 2014- University of Montana Scholar-Athlete of the Year, 2014- Honorable Mention All-Big Sky Conference, 2013- Second Team All-Big Sky Conference, 2012- First Team All-Big Sky Conference, 2010- 7th in the Pacific Northwest Boys USTA Rankings. Ethan is currently in charge of the Silver and Gold junior programs at CPTC. He spends a lot of time with juniors, but he loves working with all ages. His goal is for everyone to find passion and strive to improve at the wonderful, challenging sport of tennis! Looking for that early morning lesson? Let us help you out! 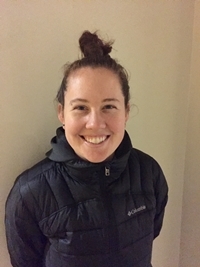 Blakeley Bean joined our teaching staff in September 2016 to work with our junior program while she transitions to the Eastside from her current location in Olympia, WA. The Valley Athletic Club has been fortunate to have Blakeley as part of their professional staff since she moved from Atlanta, Georgia in 2014. She attended Appalachian State University in North Carolina on a Full Athletic Scholarship for Division 1 Women’s Tennis. 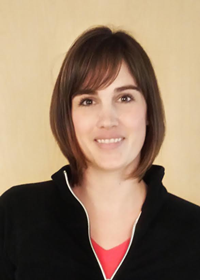 Blakeley is USPTR Certified, has 6 years-experience working with juniors and adults. She brings an enthusiasm that will have you leaving that second cup of coffee behind and running through the door to greet her for your morning lesson. Thursdays 6 am to 10 am – contact her to schedule.